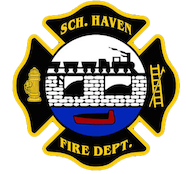 October 30, 2008- Today at 14:06 stations 2 & 4 were dispatched to 450 West Columbia Street, Schuylkill Haven Boro, for a propane leak. Once crews arrived on scene, they carefully moved the LP tank away from the house and bled off the remaining propane that was left in the tank. Engine 732, and Engine 737 were on scene for just over a half hour.